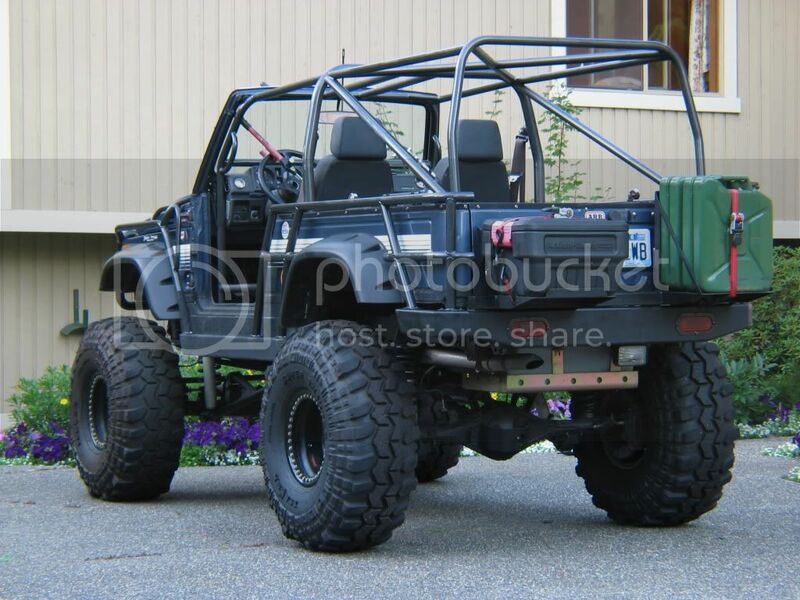 LOST JEEPS • View topic - My '87 Long Wheelbase Suzuki Samurai - Bigger pics!!! 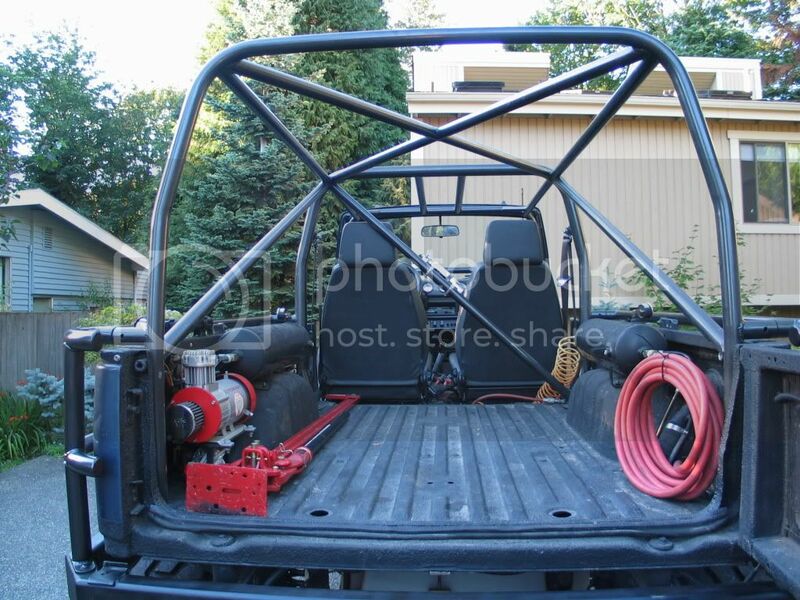 Post subject: My '87 Long Wheelbase Suzuki Samurai - Bigger pics!!! Here she is. 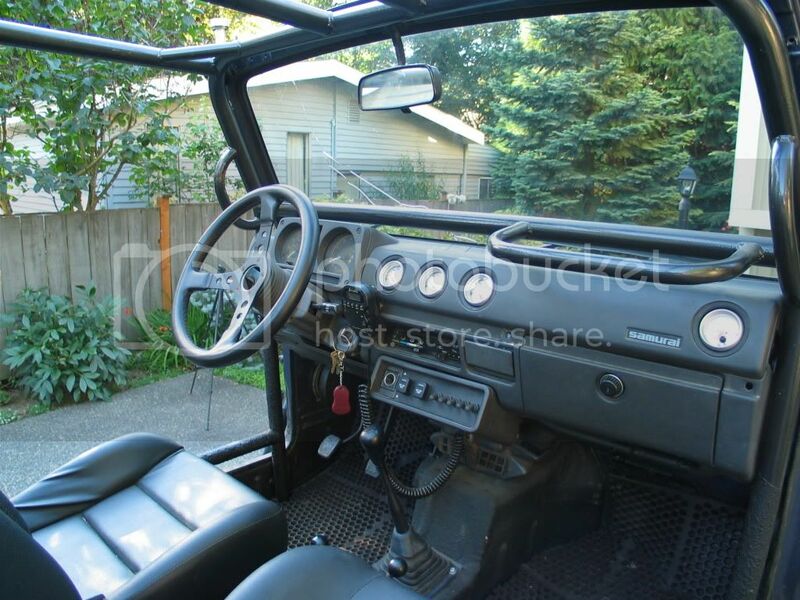 1987 Canadian Long Wheelbase Suzuki Samurai. A long work in progress. 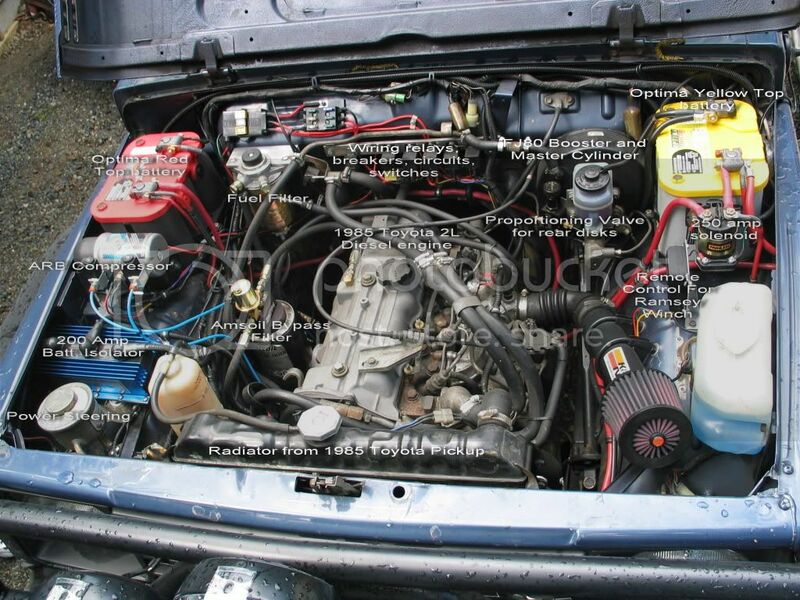 Im trying to decide whether to turbo charge the 2.4 liter Toyota diesel or to maybe put in a TDI or CRD if I can find one. Last edited by CRD Joe on Fri May 22, 2009 3:00 pm, edited 1 time in total. That there is a pretty darn cool looking war monger if I have ever seen one. GJ! 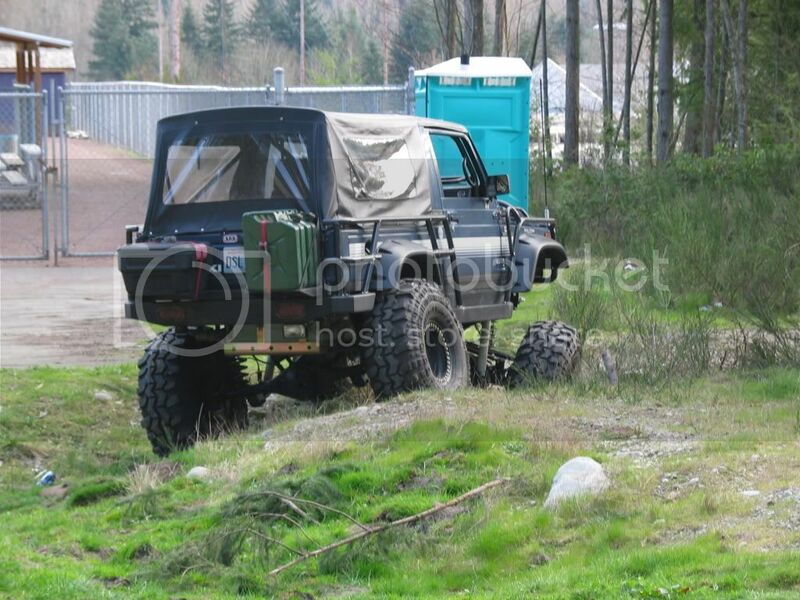 find a cummins 4bt motor and put it in there ! that sammy is sue weet dood ! That thing is sick, do you have bigger pictures? Sure but I dont know how to post them. I used the normal Img function and it only creates those tiny pics you all see. While I can do that Id like to know how other people are posting large photos! I see you are using Foto Time, try Photobucket its really simple and free. Last edited by CRD Joe on Fri May 22, 2009 2:52 pm, edited 2 times in total. you need to put the url in the front and url in the end of the link. That thing is Sick CRDJOE The nicest suzki i have seen so far no doubt hands down. Thanks JB. She's been a fun project. 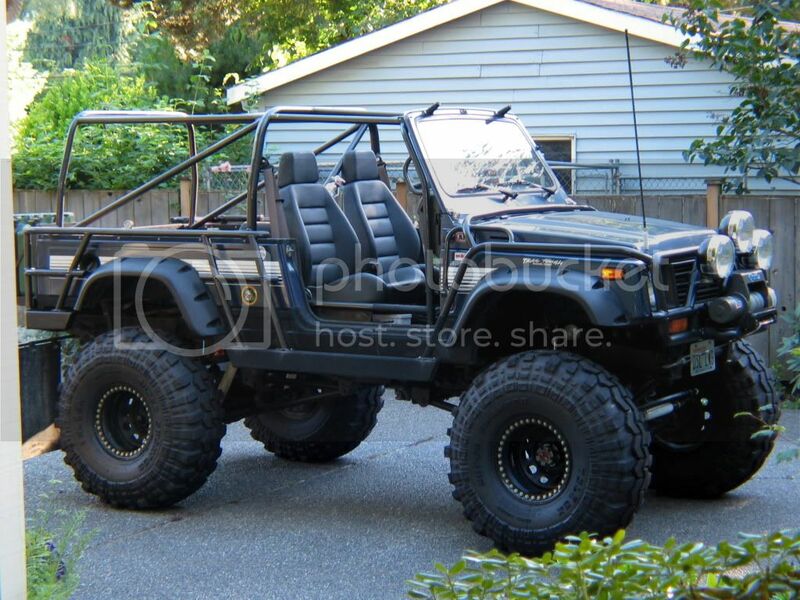 I wish they had brought the long wheelbase samurai into the US. I didnt even know they made LWB Samurais. I might need to find me one of them. I dont upgrade it until its broken. THAT IS AWESOME! Great build! I had no idea that frame length was an option either. I just figured you did a ton to it. Looks great!!!! 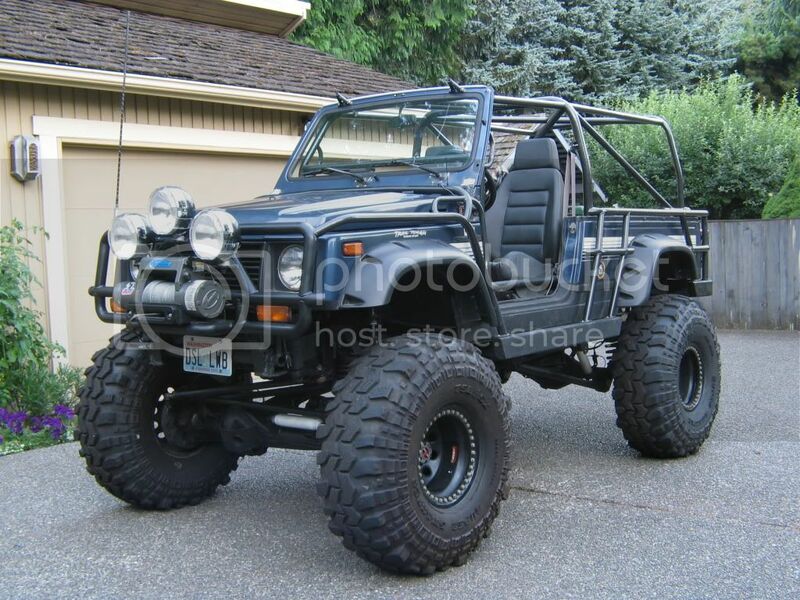 Normal samurai's had a 79.9" wheelbase. The long wheelbase jobs had a 94" wheelbase like a jeep wrangler. Mine has been stretched to 100". THanks everyone. Its to bad they never brought them to the United States. I mean look at all that bed space. man that zuki looks AWESOME! Joe. Im glad to see that Photbucket worked for you. How long is that bed? Good question. The frame is fully boxed end to end.